Many people in and around Los Angeles enjoy operating their motorcycles. When operated safely, a motorcycle is a fun and diverting hobby, one that can provide years of enjoyment to the driver and passengers. However, many other drivers struggle to share the road with motorcyclists. And in these wrecks, it's almost always the motorcyclist who suffers the serious personal injury. Our firm represents motorcyclists who suffered serious injuries in these accidents. If your accident was caused by someone else's negligence or misconduct, we can help you pursue the compensation you deserve. If you live in or around Redondo Beach, California and need an experienced motorcycle accident lawyer, please call Kirtland & Packard, LLP today at 310-536-1000 for a free consultation. As you well know, motorcyclists have no protection. There's no elaborate metal framework surrounding you on your motorcycle. You have your helmet and that's about it. 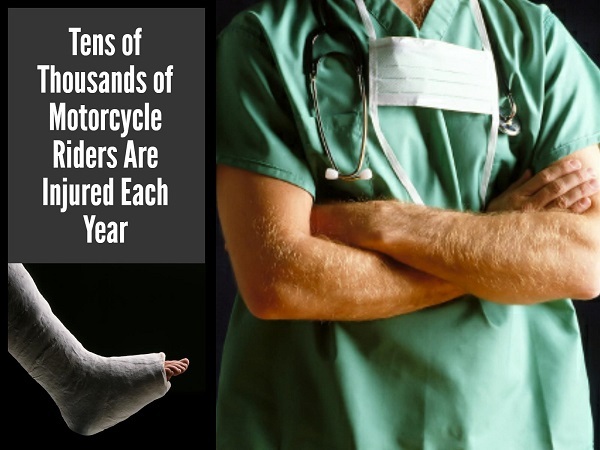 This means that motorcycle accidents tend to result in catastrophic personal injuries. Of course, there's also the tragic reality that thousands of lives are lost every year in motorcycle accidents. If you lost a loved one in a motorcycle accident, we can discuss the possibility of pursuing a wrongful death claim against the responsible parties. We all have a responsibility to safely share the road. Motorcyclists understand this better than most. Sadly, many car and truck drivers do not – they're aggressive and selfish around motorcyclists, and many times they don't even see a motorcycle until it's too late. If you've been hurt in a motorcycle accident in the South Bay area and need an experienced lawyer, please call Kirtland & Packard, LLP today at 310-536-1000 for a free consultation.